I know tomorrow's Monday and that many of you are going back to school soon (I'm starting tomorrow!) so here's a little something to cheer you up. 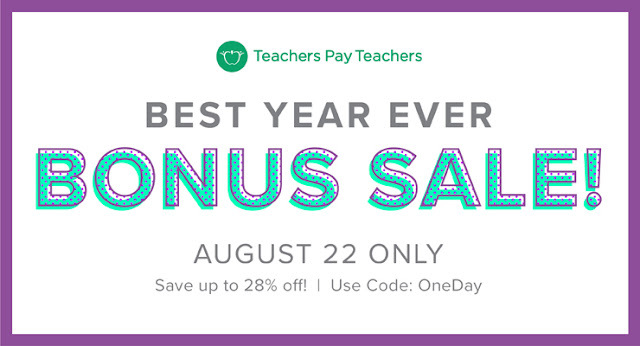 Tomorrow, Monday, 22nd August, there will be 20% off everything in my TPT store.